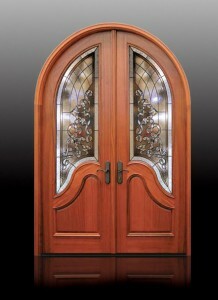 Signature Door is a manufacturer of exterior door units and decorative glass. We have been manufacturing at our Altoona, Pennsylvania facilities since 1989. We are proud of our ability to manufacture a beautiful entryway with special attention to detail, a tradition of Pennsylvanian craftsmen. Signature Door manufactures Impact units in a variety of species with include: cherry, pine, poplar, walnut, maple, cypress, sapell, alder and cedar. Our custom capabilities are quite extensive, as we can bend and shape the different species to make curved panels, mouldings and custom transoms. We also manufacture the decorative glass at our plant, enabling us to make special sizes, shapes and colors. The building industry is fashion driven and Signature Door, Inc. is proud to be able to answer the call. We invite you to browse a few samples and allow us to design your new entryway! Contact Signature Door at 800 741-2265. Champion Injection Molding is a family-owned custom injection molder that values people as our most important ingredient for their success. They believe that the talents and superior work ethic of their employees makes it possible to manufacture high quality plastic products. Champion Injection Molding was formed in 1988 to supply injection molded plastic frames for RSL’s door lights.